"Tokyo to New York” celebrates the connections between Tokyo and New York City with a series of concerts in Tokyo and New York. The concerts feature new works composed for Western classical instruments as well as traditional Japanese instruments. They include a wide variety of styles of music, from Japanese avant-garde to contemporary classical, abstract to minimalism, J-pop to jazz-influenced pieces. The composers have ranged from 19 to 92 years of age. 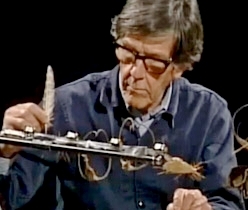 They come from all walks of life and experience: from university students to university professors; from self-taught composers to composers with advanced degrees; from emerging composers to composers that have won such prominent awards as the Takemitsu Prize, Grammy Award, Latin Grammy Award, and the Pulitzer Prize. The musicians of “Tokyo to New York” have had the opportunity to work with many of the Japanese and American composers programmed in these concerts, and since 2012, “Tokyo to New York” has performed over 60 world premiers and numerous Japan and United States Premiers. In 1983, Cage began a composition called “Ryoanji” named after the rock garden in Kyoto, Japan. This garden is a collection of 15 rocks, placed in a landscape of raked, white sand. In the summer of 1983, Cage started a series of drawings entitled Where R=Ryoanji, using (by drawing around) 15 different stones. 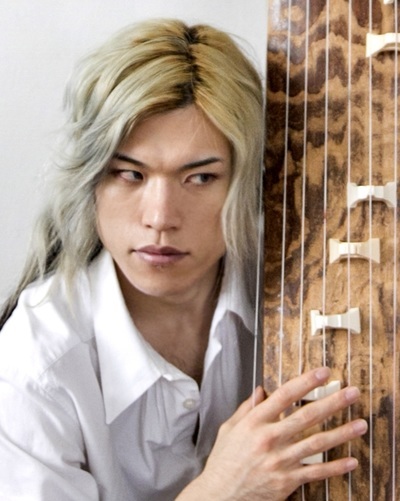 Around the same time, the oboist James Ostryniec asked Cage to write a piece for him, which resulted in the piece “Ryoanji.” Originally composed for oboe, “Ryoanji” was arranged by the composer for other instruments and has since been performed for any number of instruments. “Ryoanji” is a series of 8 songs. A song is created on 2 pages, each of which contains 2 rectangular systems. In each rectangle, Cage traced parts of the perimeters of the given stones. These curves are played as glissandi. In some places, contours overlap, thus making materials impossible to play. In this case, a tape recording is used, or two other players join in, resulting in a duet or trio. The solo (or trio) is always accompanied by a percussion part or a similar 20 member orchestral part. The percussion part is 2 unspecified sounds, played on wood and metal. The hichiriki players represent the stones of the garden, the percussionist the raked sand. We recognize meteors only when they visit us as shooting stars; the final moment of them in flames. One day I thought about their journey of traveling all the way in the dark space by themselves, being caught by the gravity of the Earth, and flaming up to pieces before they hit the ground. The cinematic vision kept haunting me since, and here is my attempt to capture it in music. “Meteor" was composed in 2016 and dedicated to Thomas Piercy. Thematically, this piece has two musico-historical points of focus; The Internationale and the anthem of the Qing dynasty, the last ruling house of China. The latter was composed and adopted in 1911, during the third year of the reign of Puyi, who submitted to abdication only six days later. The melodies conjure a moment when one of the world's great civilizations was on the verge of transformation, yet the spirit of the piece is not to be found in these feelings alone. When the composer first asked me to draft a brief text concerning the life of Puyi, he told me that as a child in China The Internationale was often sung to him as a lullaby. This ran against my every association, uprooting so many violent, tumultuous images of the 20th century and supplanting them momentarily with a vision of a dreaming child. For all his sins, betrayals, cruelties and self-interest, the last emperor of China, Puyi, was also an ineffectual dreamer. It is true that he was led on by a passionate desire to restore the glory of the Qing, but Puyi was a child-emperor. For him this was perhaps also a desire to restore the world of his origins, a desire that is universal, and universally thwarted. Puyi ascended the throne at the age of two in December, 1908. The toddler was moved to the Forbidden City, where his life was governed by eunuchs, servants and tutors. As he grew he would regularly have beatings administered to those who served him. These passions remained through much of his life. The rise of the Republic resulted in Puyi's forced abdication in 1912, ending more than 250 years of Qing rule. The household was allowed to keep its home in the Forbidden City, where Puyi remained in courtly isolation punctuated by friendship with his British tutor, Reginald Johnson. They were ousted from the Forbidden City in 1925, and Puyi eventually found refuge in the Concession of Tianjin. Here he set out on what would be a fateful relationship with the Japanese, who encouraged his obsession with restoring Qing rule. In 1931 he departed for Japanese-held Manchuria, the ancestral home of the Qing, in order to initiate his plans. This lead the Republic to charge him with treason. In 1932 Japan established the puppet state of Manchukuo, installing Puyi first as its chief executive and then as its nominal emperor. The victory was without substance or savor. Puyi's life was closely regulated by the Kwantung Army, and his household was compromised by Japanese loyalists. He lived a life of frustration and paranoia, and was continuously undermined as he attempted to maintain the trappings of Qing life amid a rising tide of Japanization. His autobiography notes some solace during this period derived from the company of his fourth wife, the concubine Li Yuqin, referred to sometimes as Jade Lute. In 1945 the Japanese occupation collapsed and Puyi fled Manchukuo. He was captured by Soviet forces and was eventually detained in Khabarovsk. He was repatriated in 1949 following the rise of Mao Zedong, and spent 10 years of reeducation at the Fushun War Criminals Management Center. His autobiography describes a slow acceptance of his new status as a citizen, his fumbling attempts at labor, and his eventual capitulation to party doctrine. He was declared “reformed” in 1959 following a special dispensation from Mao, and lived a modest civilian life until 1966, when he became a target in the Cultural Revolution. He died of cancer in 1967. Duo Cappriccioso was composed in 2001 with a significant revision in 2004. It was premiered at the 2004 International Clarinet Association ClarinetFest by the composer/clarinetist Hidemi Mikai and clarinetist Yasue Sawamura. The Duo is in three sections and was strongly influenced by minimalist music styles. Inspirations for “Erosion” came when I was pondering near the seashore at the Sunken Meadow State Park in New York, watching the waves crashing in and retreating on the coast. The work features a series of repetitive motifs imitating the waves, gradually inhaling other musical elements in the piece. 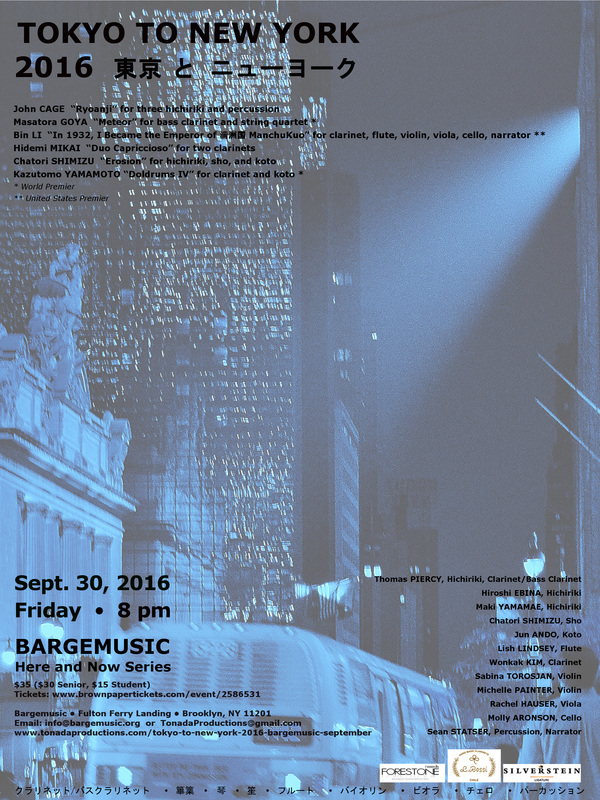 “Erosion” was composed for Thomas Piercy and was premiered at Bargemusic in July, 2016. “Doldrums IV - Vignette” was originally composed in 2013 but has never been performed. 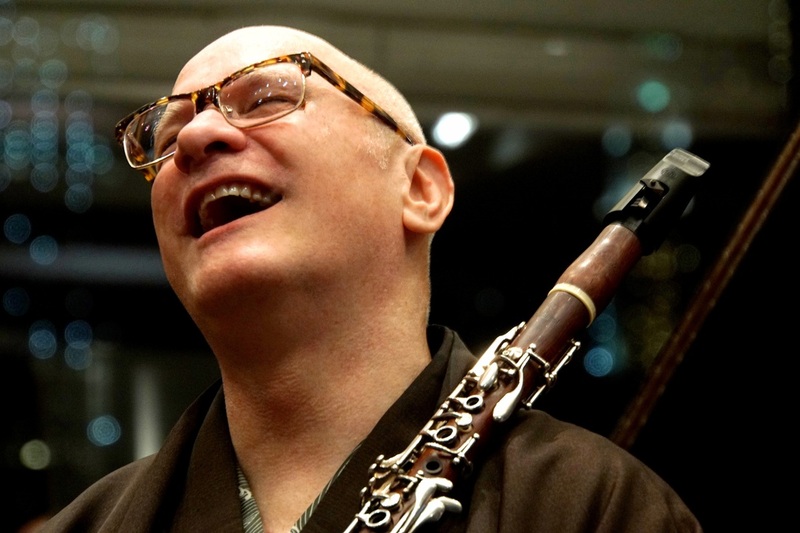 Two alternative arrangements of the piece called “Alto saxophone and Koto”(2013) and “Shakuhachi and Koto”(2014) have been played before, but the original version receives its premiere by Thomas Piercy and Jun Ando. 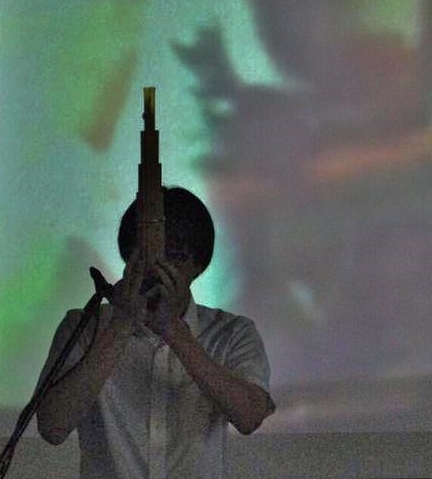 The piece consists of the “conversation” between two entirely different ways of producing sounds, musical histories and instruments of the East and the West. The subtitle “Vignette” means “a small piece”. This is the fourth piece composed during my "Doldrums” period. 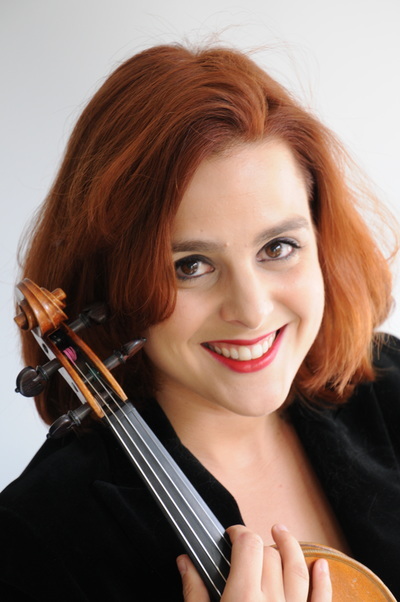 Currently residing in both Madison, WI and New York City, Ms. Hauser has been a tenured member of the Madison Symphony Orchestra and Madison Opera Orchestra since 2007. 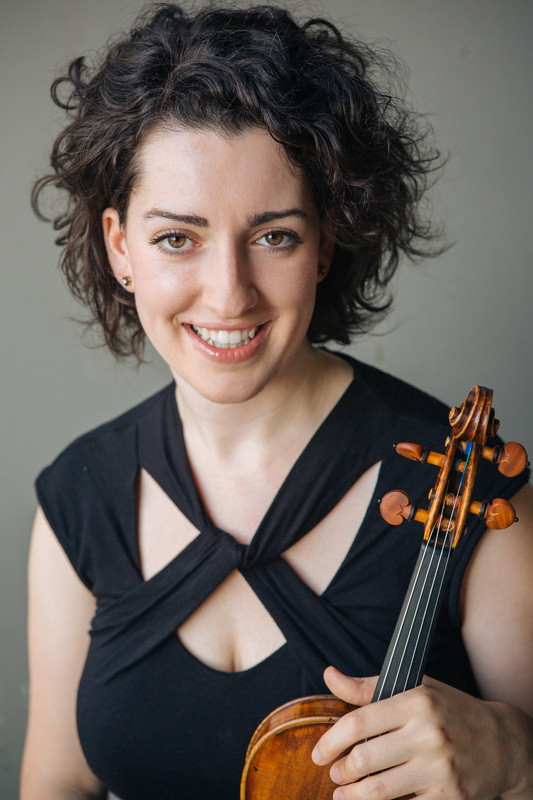 She plays regularly with the Wisconsin Chamber Orchestra, the Madison Ballet Orchestra, the Lacrosse Symphony Orchestra and the Dubuque Symphony Orchestra where she previously served as Principal 2nd Violin. As a chamber musician, Ms. Hauser has been featured in recitals throughout the world including France, Holland, Finland and Italy. 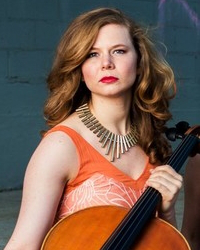 She has twice appeared as a guest artist on the University of Wisconsin-Madison’s faculty recital series and is a founding member of Wisconsin’s acclaimed chamber music festival the Willy Street Chamber Players. She is frequently featured in live chamber music recitals on Wisconsin Public Radio and her recordings with the Willy Street Chamber Players are broadcast throughout the state. When not performing, Ms. Hauser is an active fundraising professional. In addition to an international consulting career that serves extraordinary non-profit music organizations of all kinds including local ensembles The Sebastians and Sybarite5, Ms. Hauser now serves as the Development Director of Musicambia, a program dedicated to designing creative musical curricula for incarcerated individuals. Rachel is an alumna of the New England Conservatory of Music in Boston, the Utrecht Conservatory of Music in the Netherlands, and The University of Wisconsin-Madison; her primary teachers include David Perry, Masuko Ushioda, Richard Wolfe and Louise Behrend. Korean-born clarinetist Wonkak Kim has captivated audiences around the world with his “excellent breath control” (The Washington Post) and “exuberant musicianship” (Fanfare). Kim appeared as a soloist and chamber musician at leading venues throughout the United States such as Carnegie Hall, the Lincoln Center, the Kennedy Center, and Constitution Hall as well as in Paris, London, Madrid, Ghent, Geneva, Seoul, Osaka, Costa Rica, and Brazil. A Naxos Recording Artist, he has recorded numerous CDs that received international acclaim: Gulfstream, a collection of new American chamber music, was named “Music US Choice” by BBC Music Magazine and praised for its “very highest quality” (Gramophone, UK). The Clarinet lauded Kim’s “sensitive playing, a lovely sound and consummate facility” in François Devienne: Clarinet Sonatas. Kim’s live and recorded performances have been featured on Radio France, Swedish Radio, Australian Broadcasting Corporation, CJPX Radio Classique Québec, Hong Kong RTHK-HK, Korean Broadcasting System, and NPR stations around the US. 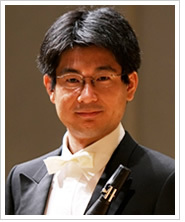 Dr. Wonkak Kim is an Associate Professor of Music at Tennessee Tech University and is Buffet-Crampon, Silverstein, and Vandoren Performing Artist. Known for her “lively confidence,” (San Francisco Classical Voice), violinist Michelle Painter brings personality, spirit and energy to each performance. A highlight of the 2015-2016 season included a performance of the Beethoven Violin Concerto, with the Farmington Valley Symphony Orchestra. 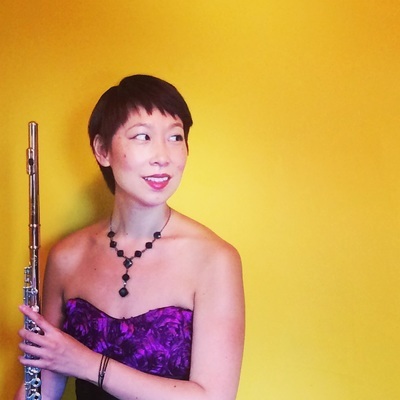 As a chamber musician she has performed across the United States, Europe, and South Korea, taking part in series including Music from Salem, The Lighthouse Chamber Players, Green Mountain Chamber Music Festival, the Five College New Music Festival, and the Robert Helps International Music Festival. She has performed in venues such as David Geffen Hall, Castello Brancaleoni, Teatro Cagli, The United Nations, Spectrum, and Skirball Center for the Performing Arts. She has recorded the world premiere of Robert Helps’ “Quintet” for Albany Records and has performed world premieres by Pulitzer Prize Winning Composers as well as Guggenheim Fellows. Michelle currently serves as an adjunct at Columbia University as well as associate faculty for the Elizabeth Faidley Studio. Chatori Shimizu (b. 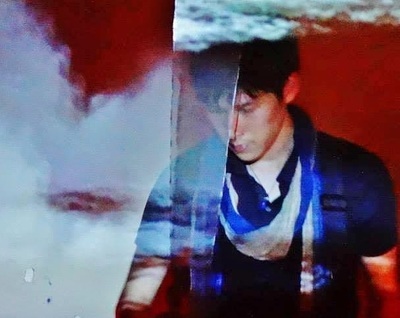 1990, Osaka) is a New York City based composer, sound artist and shō instrumentalist who constructs his works for a wide range of mediums concerning sound and space. . Ranging from orchestral works to sound installations, Shimizu's award winning works have been performed and exhibited throughout the United States, Japan, Europe, Central America, and South East Asia. He also provides his music to numerous advertising jingles, media programs, and transmission arts, and has scored for multiple films, animations, theatre, and popular music records. . 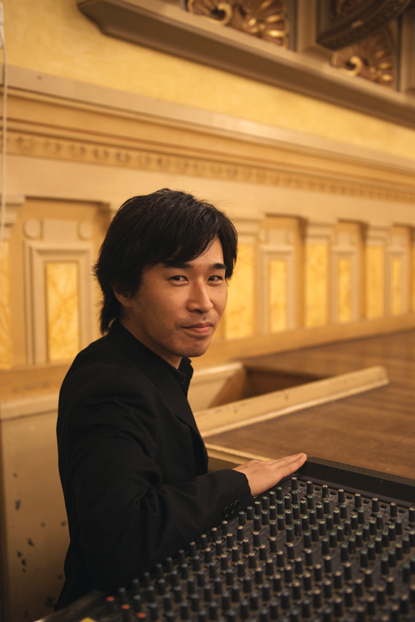 He obtained his MFA in Sound Arts from Columbia University, New York City, and received his BA in Computer Music from Kunitachi College of Music, Tokyo, as a recipient of the Arima Prize for graduating with the highest honor. Originally from Tartu, Estonia where she was a winner of regional and national competitions, Sabina Torosjan is currently a NYC-based performer and teacher. 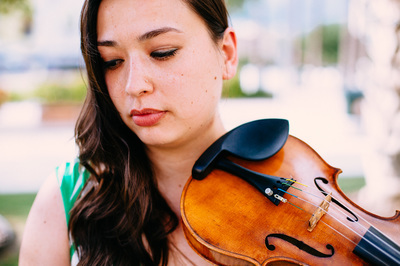 Sabina became a member of NYC’s Ensemble Mise-en in 2012, and has performed in various venues such as Avery Fischer Hall, Alice Tully Hall, Bohemian National Hall, and Le Poisson Rouge. Among Sabina's recording credits are “The Storm King”, an album with iconic folk singer Pete Seeger, and “My Mind Was a Mirror” and “Eventual Spring” with guitarist Terry Champlin. She can also be heard on a recording on a song by Jennifer Hudson. Sabina has attended the Meadowmount School of Music, Green Mountain Music Festival, and Bowdoin International Music Festival. She received her Bachelor's degree from the Juilliard School, where she studied with Sally Thomas and Lewis Kaplan. Sean Statser has been called "Lithe, muscular, and mesmerizing" by the New York Times. Mr. Statser actively collaborates with several New York City artists and ensembles including the Grammy-nominated Metropolis Ensemble, Ensemble LPR, Cadillac Moon Ensemble, Syzygy New Music, Blind Ear Music, and is a founding member of NoiseBox. 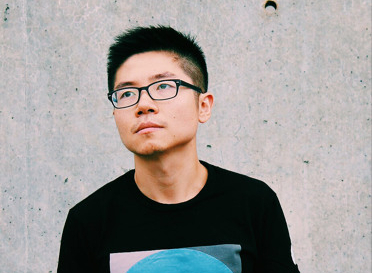 He has premiered over 50 works by composers Jason Treuting, Caleb Burhans, Kati Agocs, Vivian Fung, Angelica Negron, John Luther Adams (NY Premiere) and Elliot Carter (NY Premiere), among others. 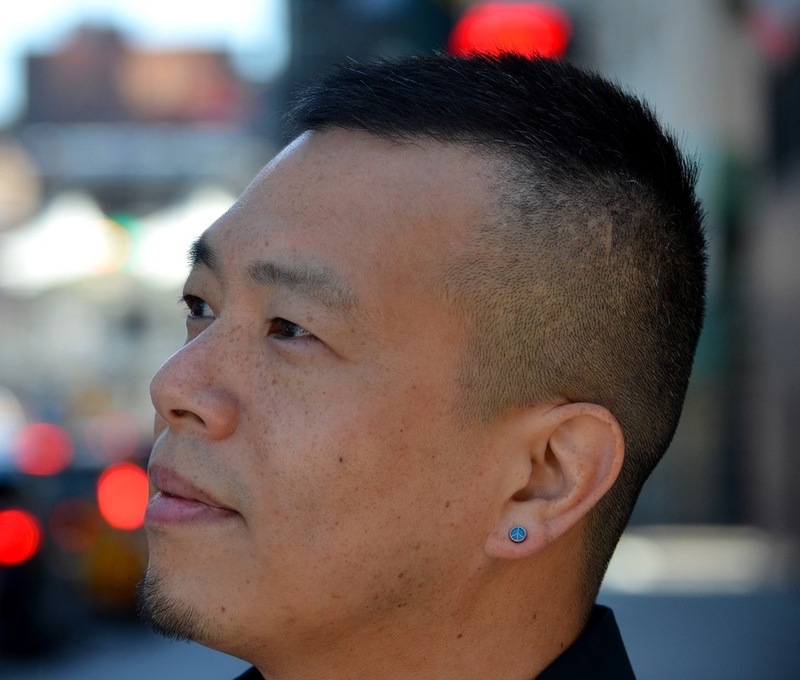 He has performed with the American Symphony Orchestra, American Composers Orchestra, and has appeared at venues around New York City including Lincoln Center, Carnegie Hall, Merkin Concert Hall, Symphony Space, Fisher Center at Bard College, (Le) Poisson Rouge, and Roulette. Sean has appeared at the Percussive Arts Society International Convention (2007, 2008, 2010), and recently performed with Metropolis Ensemble as part of Lincoln Center’s Out of Doors Festival, under the baton of Maestro Tan Dun. Sean has recorded with a variety of artists, such as jazz pianist Kenny Werner(No Beginning, No End - Winner of the 2010 Guggenheim Award), Metropolis Ensemble, Harold Farberman, and Cadillac Moon Ensemble. He has appeared on Naxos, Nonesuch, Orange Mountain Music, Innova Records, Half Note Records, Albany Records and New Dynamic Records. As a composer and arranger, his compositions are available through Bachovich Music Publications. 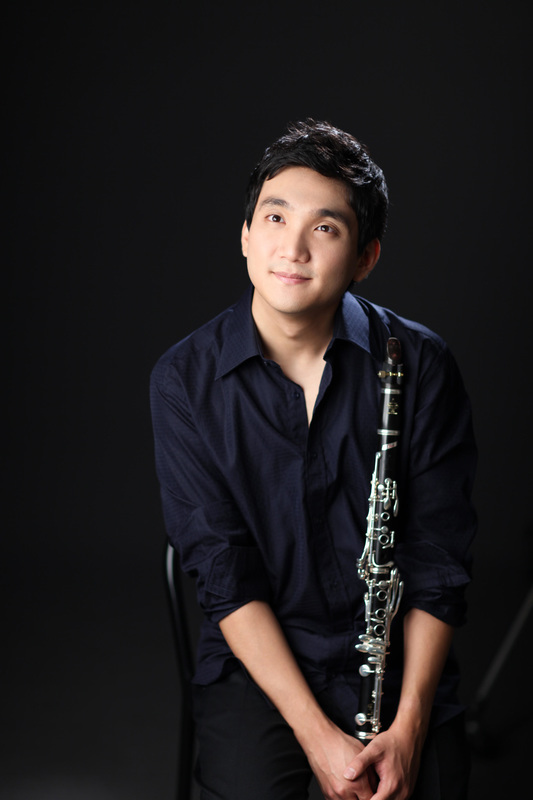 He received his MM in Instrumental Performance from NYU and holds a BA in Music Performance from Fort Lewis College. His teachers include Jonathan Haas, Simon Boyar, Josh Quillen, and John Pennington. 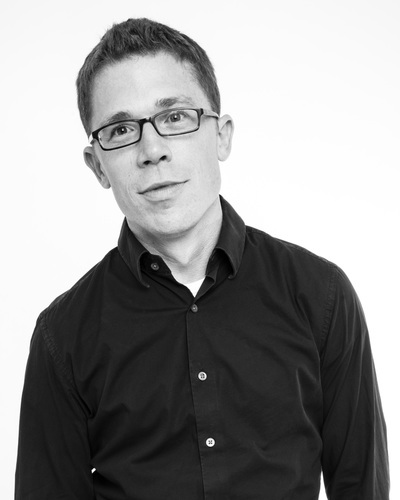 Upon graduating in 2010, Mr. Statser joined the Percussion Studies faculty at New York University. Born in Kamakura, Japan, Maki Yamamae studied hichiriki under the instruction of Koji Sato at Gagaku Music Society of Tenri University. She had traveled abroad to Europe as well as Asia for gagaku music performances, which included bugaku (Japanese imperial court dance). 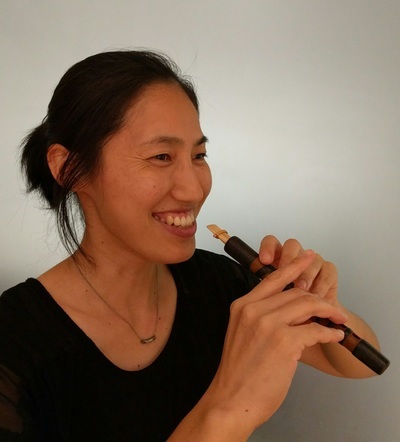 She is currently a member of the Tenri Gagaku Music Society of New York, which performs at diverse locations throughout the New York area.